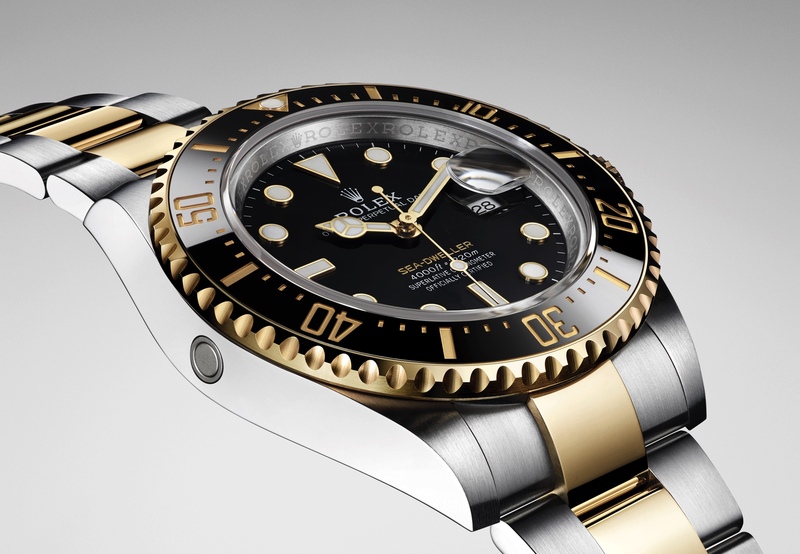 A new Rolex Sea-Dweller, debuted at Baselworld 2008 with the added “DEEPSEA” designation. Its name comes from the “Deep Sea Special”, the experimental prototype that in 1960 reached a depth of 10,916 meters in the Mariana Trench. 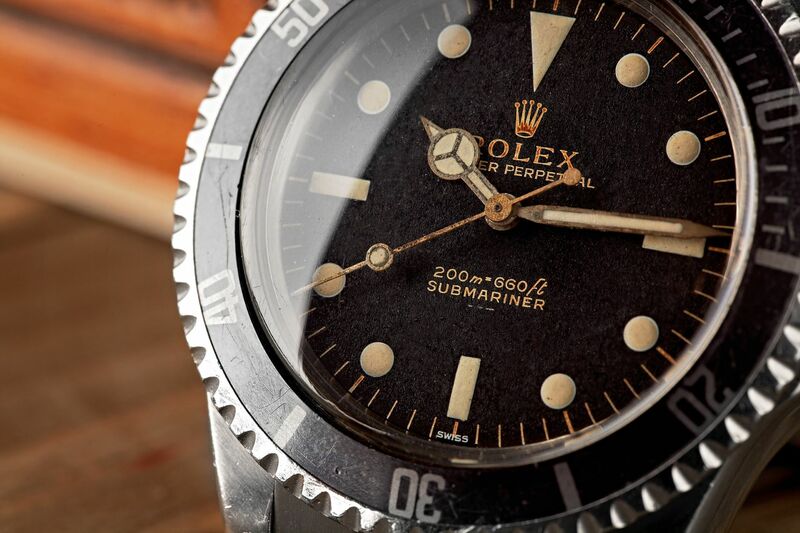 For 2008 the engineers at Rolex SA made the Sea-Dweller bigger, more water-resistant and essentially changed about everything, except the ultra reliable 3135 in-house movement. The updated case is slightly larger at 43mm in diameter. The crystal is now a domed sapphire. 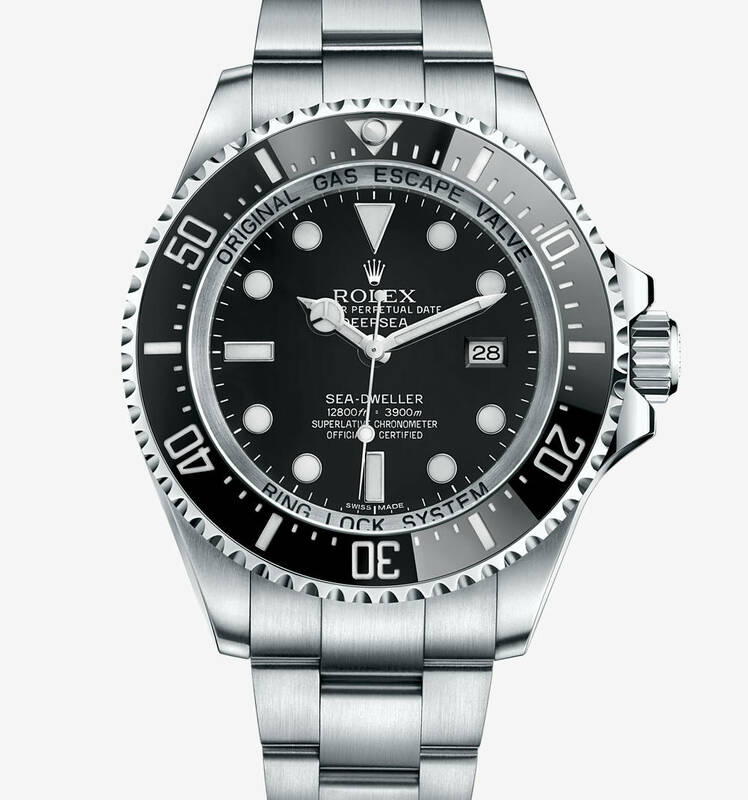 New ceramic bezel was added, the numerals and the graduations are filled with platinum through the use of a PVD technique patented by Rolex. The zero marker of the graduated bezel, represented by a triangle, is visible longer due to a capsule containing a new luminescent material that emits a blue glow. To enhance legibility, the indexes and hands are wider and partially coated with the same new luminescent material and also emit a blue color. The movement features a new Parachrom hairspring with high resistance to shocks and magnetic fields. A nitrogen-alloyed stainless steel ring was added to help withstand the pressure exerted by water on the crystal and the case back. A new Glidelock clasp allows for fine adjustments to the bracelet length, up to 18 mm by increments of 1.8 mm, without removing the watch. (pictured below).